The Ridge Meadows Craft Beer Festival is being hosted in partnership between three local companies; the Pitt Meadows Golf Club, West Coast Experiences and the Maple Ridge Liquor Store. Our goal is to create an annual local community event encouraging beer and food lovers to experience the best BC has to offer. The newly renovated venue at the Pitt Meadows Golf Club will be a great fit for this tasting. The space is a very comfortable and relaxed atmosphere encouraging the enjoyment of an indoor tour of our BC breweries, while enjoying delicious eats crafted by the Chef and his team at the Golf Club. 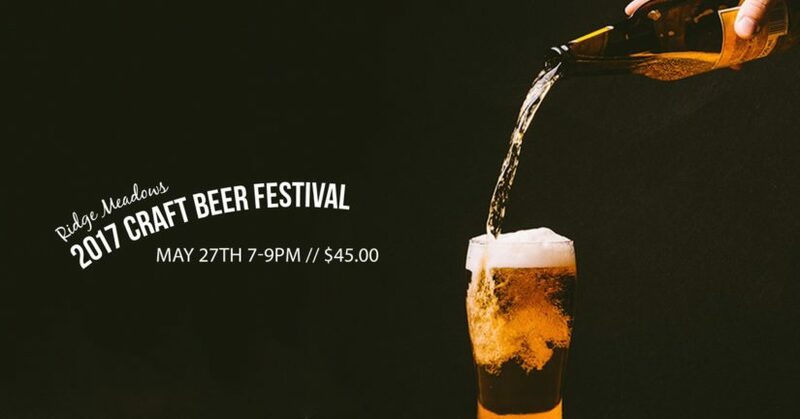 Join us on Saturday, May 27th between 7pm and 9pm at the Pitt Meadows Golf Club where you will enjoy brews from over 18 craft breweries along with matching delicious eats.